When Revealed: Either flip Sméagol to Gollum, or Gollum makes an immediate attack. The first player may spend 1 resource and exhaust The One Ring to cancel this effect. 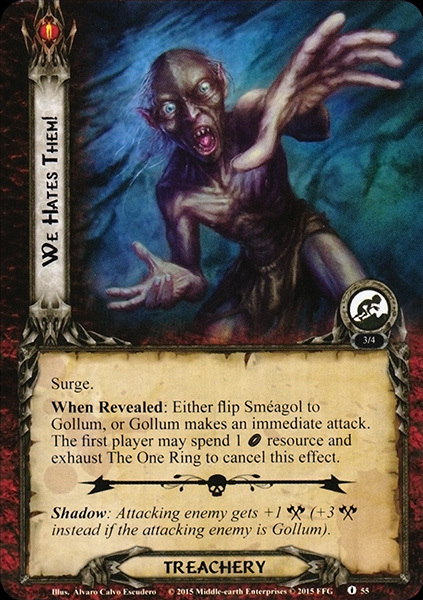 Shadow: Attacking enemy gets +1 (+3 instead if the attacking enemy is Gollum). ).